The Yangtze River remains one of the great river journeys of the world. Victoria Cruises are one of the most luxurious river companies on the river with some excellent 5 star ships. Guests are mainly American and European and the standards are excellent. 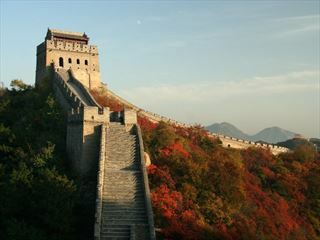 This cruise visits Chonqing, Wuhan, Nanjing and sails right down into Shanghai. There is also a chance to shop and sightsee in this vibrant and fast growing city. Fly to Chongqing and stay overnight at the Garden hotel or similar. You have the day to explore Chonqing, the last base of chang Kai Shek beore China fell to the Communists. Depart Chonqing at 11:00 am and sail.Take an excursion to Fengdu - the Ghost City known for its gardens, temples and statues of ghosts and devils. Morning visit to the Three Gorges Dam site in Xiling gorge. It is the largest project of its type in the world. Full day excursion of Huangsan, one of China’s most famous mountain regions. Travel to the royal retreat through dramatic scenery. Day light return flight to Heathrow. 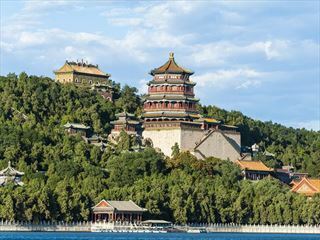 Starting in ancient Beijing, this tour takes you on an incredible four-day cruise up the mighty Yangzte River and ends in the pulsating cosmopolitan city of Shanghai. 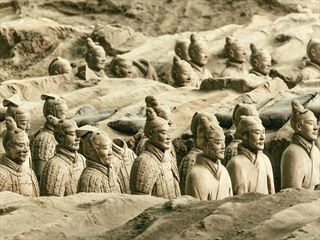 Your 14 night trip takes in the spectacular Great Wall of China, the wonder of the Terracotta Army and the beauty of the Three Gorges.